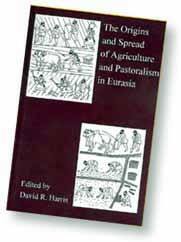 This book came into being following a three day conference at the Institute of Archaeology in London in September 1993 where 23 speakers presented papers on a wide range of subjects covering, epidemiology, genetics, geography, linguistics, and zoology. As such it gathers together specialists within a multidisciplinary scientific inquiry into this important subject. Expanded, revised and edited by Professor David Harris the contributors to the 29 chapters are leading names within their professions. The ability to identify and accurately date a wide range of plant and bone remains, and reach reliable conclusions on the domestication of wild seeds and animals, provides examples of the many related sciences, which now allow history to be reconstructed in great detail. It is with the assistance of these sciences that we can place more accurately the people and events recorded within the written and oral records that still exist. We can do no more than highly recommend this book as a definitive source of current research progress and let the reader draw their own conclusions from the great store and wide range of knowledge provided. This book will highlight the fact that practical farming knowledge and skills will provide today's research scientists and students on these subjects with an essential discipline. We believe that in the basic thesis within The Genius of the Few and The Shining Ones is well supported by this book. The records relating to climatic change and the proven glacial refuge in the Southern Lebanon for many of the important plants trees and animals, which would have allowed the subsequent agricultural revolution to unfold, are of particular interest. The need for irrigation is an interesting feature of the Kharsag (Eden) site, and it would not be out of place to suggest with hindsight that highly advanced skills were required in selecting this ideal elevated location at that moment in time. We believe that when the concepts presented within all three books are related to each other a single more reliable and connected story unfolds. We believe we have gathered together the key evidence supporting the delivery of an existing farming package and confirmation of a 'Biblical' diffusion from Southern Lebanon, from perhaps as early as 8,750 BC, if the recalibration of old dating methods and recent dating techniques ultimately prove accurate. Over time it will be necessary for further contributions to be made by others to prove or disprove this basic thesis. Fortunately there are many other sources available yet to be fully explored, and a great deal of old evidence, which we hope to recover and re-present in our collective search to piece together and confirm the more detailed record.